Over 179 Years of History! 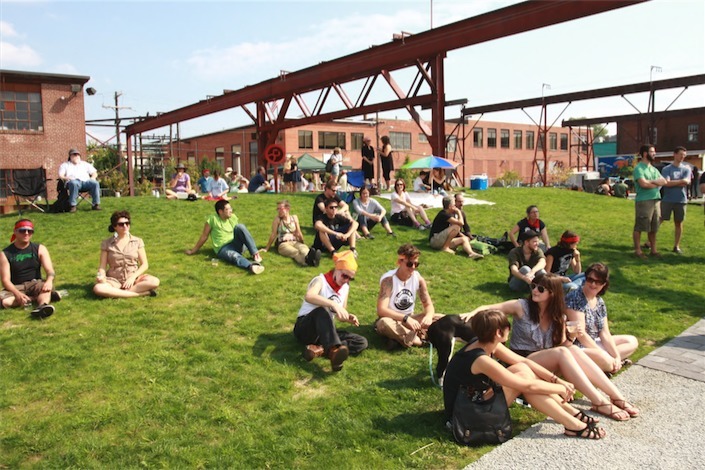 Founded in 2002 on the former site of Providence Steel and Iron Company (PS&I), the Steel Yard’s 3.5-acre site has become a community gathering space for people interested in creative, industrial arts. The design of this former brownfield site embraces the property’s urban industrial history while incorporating innovative approaches to sustainability. Founded in 1822, PS&I built precision iron castings, water meters and architectural ironwork. 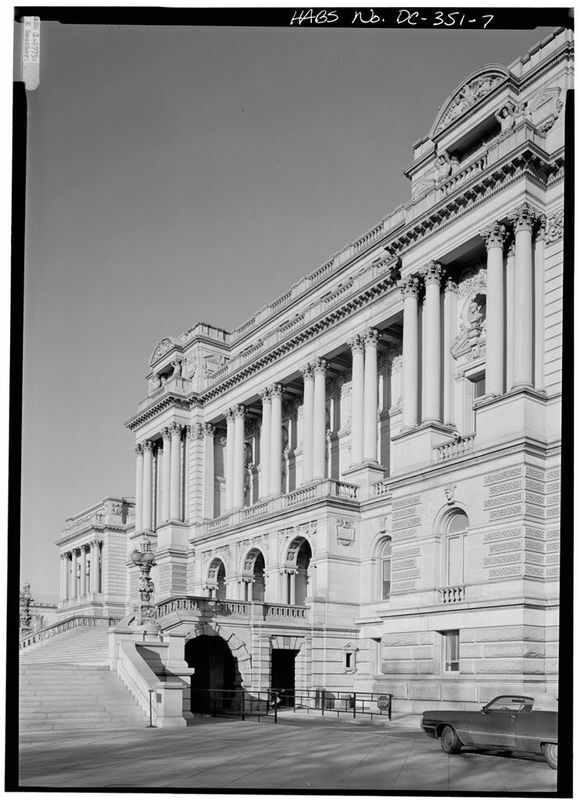 In addition to installing pipes in numerous local buildings, such as the Pawtucket Times Building and the William Fletcher Building, PS&I produced ironworks for the iconic Library of Congress. PS&I purchased the 27 Sims Avenue site in 1902 to accommodate its growing manufacturing output. The complex expanded over the next forty years, eventually absorbing the former Providence Brewery site. 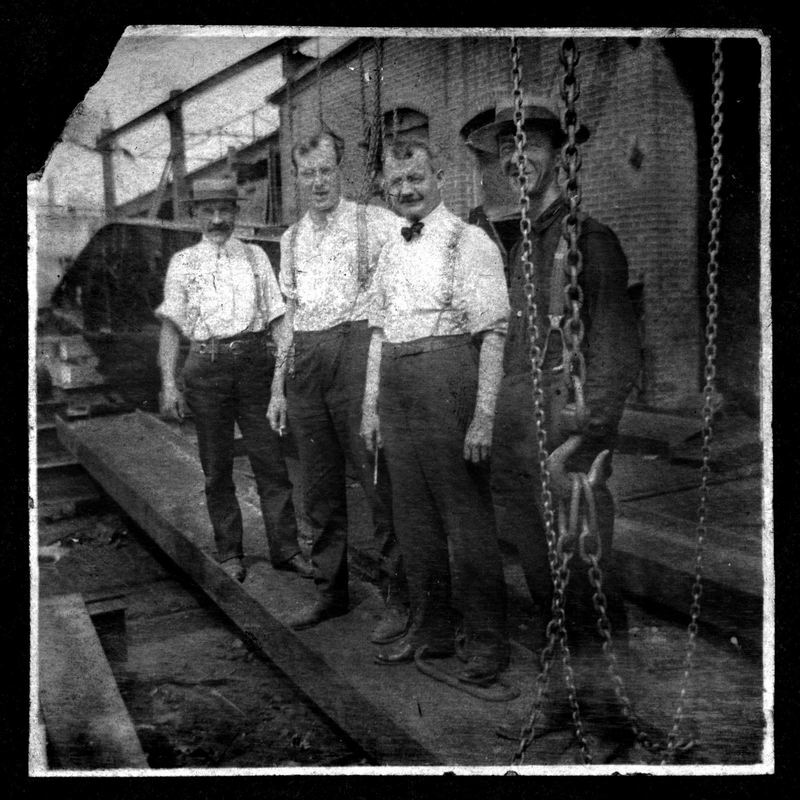 PS&I was an early adopter of electrical power in the 1890s and utilized electrically driven movable cranes and hoists to manage heavy materials and parts in their fabrication and assembly process. Technological innovation in steel manufacturing resulted in increased output of large industrial products such as bridges, trusses, girders, stairs, fences, railings, and grillwork. After 179 years of operation, PS&I closed in 2001. In 2002, two local artists and entrepreneurs purchased the property. The owners formed the nonprofit Woonasquatucket Valley Community Build, which operates as the Steel Yard, and began to actively rehabilitate the facility. The first priority was to address the site’s toxic environmental legacy. As part of their operations, PS&I sprayed lead-based paint onto steel beams. Overspray resulted in elevated lead levels in the soil. In 2007 the Steel Yard began a brownfield cleanup in compliance with the EPA, the RI DEM and the Narragansett Bay Commission, which it completed in 2007. The Steel Yard’s cleanup is a showcase for regenerative design. What was once two acres of unusable space is now a de facto public park, home to over 100 trees, a half acre of green space, and storm water-managing wetland plants. As part of the transformation, old PS&I buildings have been converted into over 9,000 square feet of workspaces for artists, classrooms (for education and job training), and office space. 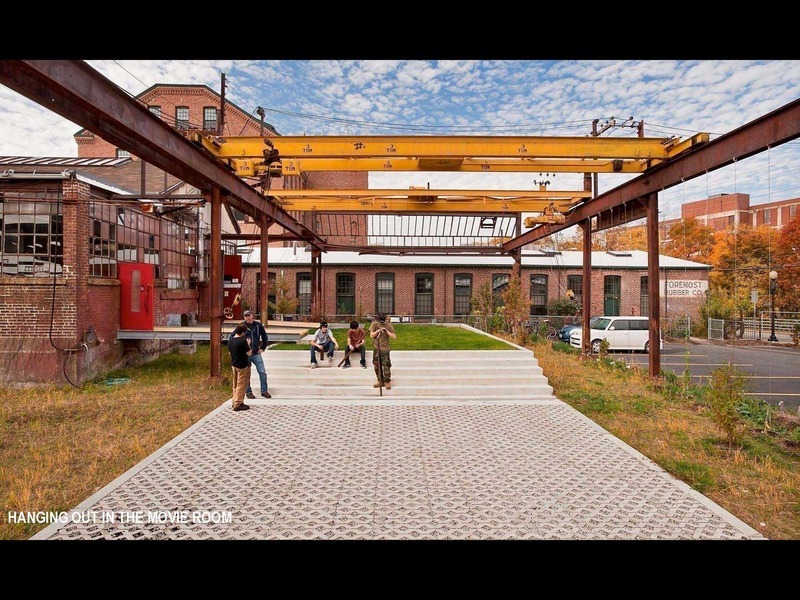 The Steel Yard is the recipient of the 2010 Providence Preservation Reuse and Neighborhood Revitalization Award, the 2011 Honor Award from the American Society of Landscape Architects and the 2013 Rudy Bruner Award for Urban Excellence. 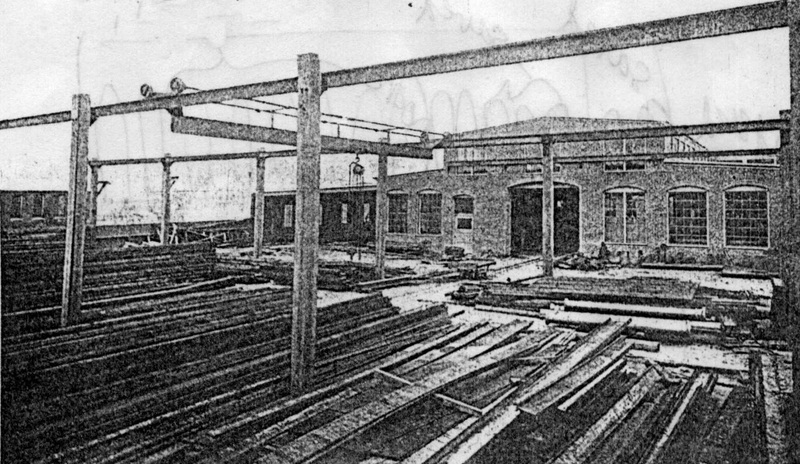 Steel Yard Outside : The Steel Yard preserved the built industrial heritage of PS&I while restoring and repurposing the outdoor campus. PS&I Employees: PS&I employed a range of skilled laborers from designers to ironworkers. PS&I Sign: PS&I had a number of departments, each housed in their own offices or industrial spaces. This sign announced where the design team worked, most likely on the second floor. Library of Congress: The iconic stairway to the Library of Congress in Washington DC was built by Providence Steel & Iron in 1905. Steel Yard Community: Inviting landscaping makes the Steel Yard a community gathering place. Initial site cleanup efforts conducted by the Steel Yard involved removing soils with the highest concentrations of lead while excavating and stabilizing soils with lower levels of contamination by treating it with a binder. This treated soil was consolidated and covered with clean soil. A combination of landscaping and paving created nine different environmental caps in the process. Permeable paving reduces runoff, and the site is graded to create a moat that collects stormwater, 90% of which remains in the area. Through its Public Projects program, the Steel Yard works with local artists to design and produce custom-designed street furniture like bike racks, fencing and gates, trashcans, and tree guards that are positioned downtown and in city neighborhoods, recognized by their Steel Yard logo. Look for the sculptural fence surrounding the ice skating rink in Kennedy Plaza! 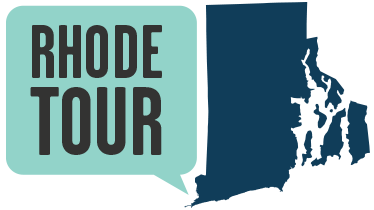 Listen to Paul Ianelli describe his work at Providence Steel and Iron on RIPR. The Steel Yard is host to numerous public events, including an annual Halloween Iron Pour, classic car shows, movie nights, private weddings, and other events. It also runs a Weld to Work job training program. See their event calendar here. Jane Gerhard, “The Steel Yard (PS&I),” Rhode Tour, accessed April 21, 2019, http://rhodetour.org/items/show/269.